Gold coast hinterland locations. With pride, we protect and promote this world's heritage location. Help us ensure that while we enjoy this wonderful area, we do not destroy it. Please look then leave only footprints and take photos to last a lifetime. Springbrook National Park plateau is the remnant of the northern side of a huge volcano. The volcano was built up of highly mobile basalt rock, and although centered on Mount Warning, it was about 80 km across. The volcano poured lava over 6000 km² .Mount Warning rim which has also perpendicular cliffs extending from Springbrook to Lamington plateau and the Tweed Range above the Mount Warning vent valley—is the largest and best of its age in the world. Visit Best of All lookout to view the grand scale of this magnificent lookout on a bushwacker eco tour today. 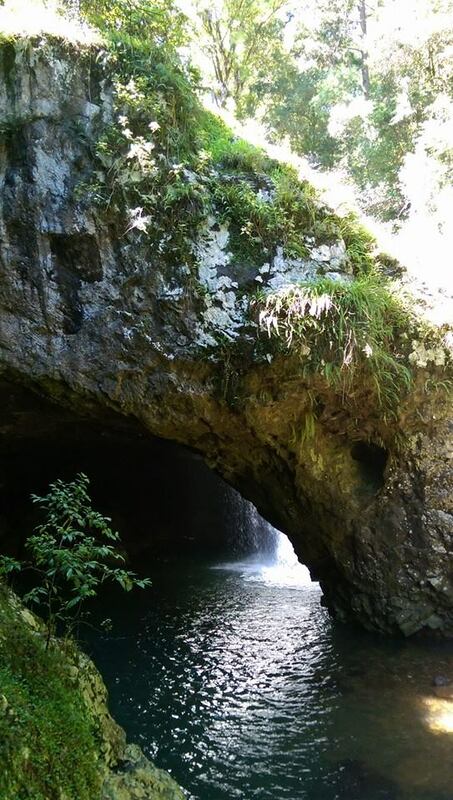 The Natural Bridge seen on all bushwacker eco tours is an example of the fresh water's power to shape and crave the hard basalt rock bridge we see today was once the lip of an old waterfall. At its base, softer, broken up basalt in a different flow was gradually eroded by swirling waters into an undercut cave. Rocks in the stream bed above swirled around to drill a pot-hole, which gradually deepened and broke through to the cave beneath. The creek fell into the cave and then enlarged it further. The lip of the old waterfall now forms a bridge, while the cave below has since eroded further back from the foot of the falls. The forests of Springbrook National Park can be grouped into 5 different types. On all bushwacker eco tours we pass through the many forests. These forest types are subtropical, warm temperate and cool temperate rainforests, open eucalypt forest and heath scrub. Subtropical rainforest, where we spend most of the day on walks and hikes, can be characterised by a closed canopy, vines, palms, epiphytes and large trees such as strangler figs, can be seen at Best of All Lookout, Natural Bridge and in the sheltered gorges of Springbrook. Bushwacker Eco Tour visits the cool temperate rainforest on the highest part of the plateau at Best of All lookout to view some of these ancient trees the Antarctic beech Nothofagus moorei — some are around 3000 years old. The two kinds of open eucalypt forest we see on Springbrook plateau and in the Numinbah Valley have a lot of Tall white-trunked flooded gums over palms and treeferns. In lower lying area of open mountain rangers we have a lot of Blue Mountains Ash, also banksia, casuarina and wattle. The New England blackbutt and silky oaks line the Rivers and Waterfalls in Numinbah section. Heath plants, including the golden banksia, red bottlebrush and purple hovea, can also be seen on these great day tour to the gold coast hinterland from Brisbane, Redcliffe and the Gold Coast. 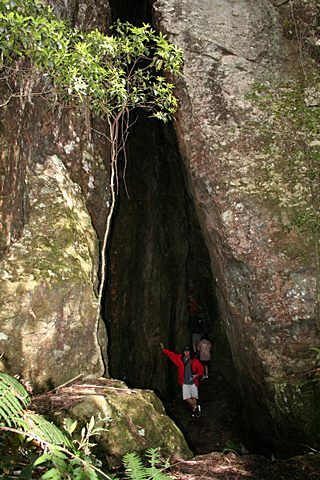 Springbrook National Park's earliest human inhabitants were an Aboriginal group, the YugambehExternal link icon who lived in this area, carefully managing and using its rich natural resources. Known as 'kaban' (bush or rainforest) to the Yugambeh, the mountains are sacred and spiritual, places to be respected. 'Gurilahbu bungill'—'a long, long time ago' Jabreen was the creator of this land. He sent water to fall on the land and to give it life. It flowed towards the ocean, its energy changing as it went, flowing gently here, cascading there; nurturing the needs of all living things along the way. This place became the homeland of the Yugambeh people. 'Gulli Yugambehnga gaurema'—'this is the Yugambeh story' our ancestors have lived in this region for thousands of years. Scattered across the landscape are stone artefacts, rock shelters, rock art, scarred trees and earthen rings. They lived in a rich environment where water flowed in abundance. Natural resources were plentiful and families were self-sufficient in all seasons. The Yugambeh family groups were identified as the Wangerriburra, Birinburra, Gugingin, Migunberri, Mununjali, Bollongin, Minjungbal and Kombumerri. They shared language, ceremonies, celebrations and economic exchange. This kinship group used both the open forest and rainforest. Evidence of their occupation has been found throughout the park, including stone artefacts, rock shelters, rock art, scarred trees and earthen rings. 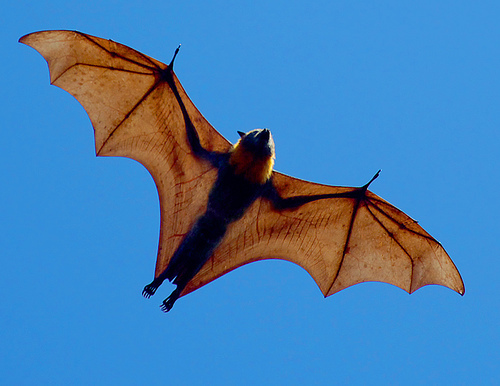 Stories demonstrate the Yugambeh's understanding and connection with their country. The landscapes held many stories that were passed down through the generations. The formation of the twin peaks of Mount Cougal — 'Ningeroongun' and 'Barrajanda' is an example. 'Gwyala', a great Yugambeh hunter of long ago, had two wonderful hunting dogs — 'Ningeroongun' and 'Barrajanda'. They were trained to chase kangaroos close in to the camp for capture. One day, 'Gwyala' and his nephew 'Burrajum' entered the neighbouring Logan territory and the dogs caught a kangaroo rat. The dogs then saw and chased a kangaroo and were trying to run him towards 'Gwyala' and 'Burrajum'. The kangaroo jumped into a lagoon. Two girls, getting water from the lagoon, saw the hunting dogs' shadows and told their people who were camped not far away. All the men came over and succeeded in running the two dogs into a net. The dogs fought so fiercely that they were killed as the men endeavoured to secure them. 'Gwyala' and 'Burrajum' heard the commotion and ran towards the lagoon. When 'Gwyala' saw that 'Ningeroongun' and 'Barrajanda' were dead, he was terribly distressed and wept. 'Don't cry, Uncle,' said 'Burrajum'; 'I will cut a vine.' This is the rain-making ceremony. The people who had killed the dogs were much afraid. After 'Burrajum' had cut the vine, the clouds gathered and the rain commenced. Rain continued to fall heavily day after day; the creeks and rivers rose to torrents, great landslides scarred the mountains and buried all the people of the tribe. The plateau's formidable terrain was the major obstacle to settlers and timber-getters claiming Springbrook. In 1865 Roberts and Rowland completed the survey of this extremely rough terrain, helped greatly by Bilin Bilin and other Yugambeh people in their party. Despite facing extreme conditions, Roberts made detailed field notes and named many landmarks, trees and animals using Aboriginal words from the Yugambeh language. is an outstanding example of ongoing ecological and biological processes. contains the most important natural habitats for conserving biological diversity. An estimated 2 million people a year visit this World Heritage area. Book a trip with Bushwacker eco tours. 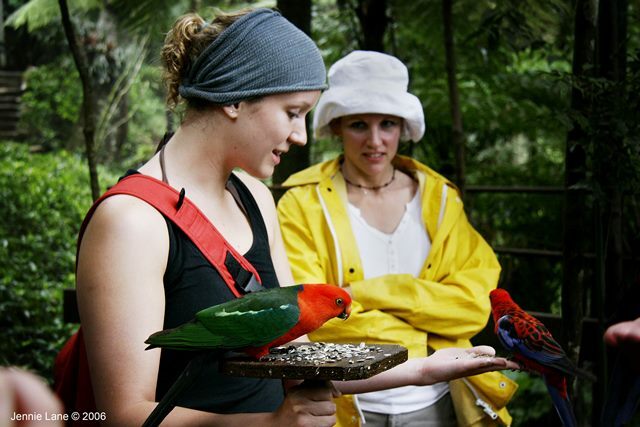 Today, Lamington National Park has the largest remaining area of undisturbed subtropical rainforest. This property contains the world's most extensive subtropical rainforest and nearly all of the world's Antarctic beech cool temperate rainforest. Rainforests on both sides of the border contain more frog, snake, bird and marsupial species than anywhere else in Australia. This site provides a home for many rare and threatened plants and animals and ancient life forms. The New South Wales and Queensland Governments work together with tourism operators to protect this amazing National Park.